From the Sahara to the shores, the Wildlife Collection of Fine Art Photography highlights majestic wildlife from around the globe. Perfect for the animal lover and a complement to your cherished photos, find wall decor featuring your favorite creature in this collection. 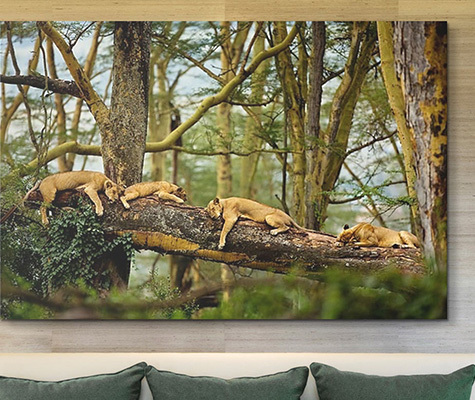 Each high quality image in the Wildlife Collection of Fine Art Photography was handpicked by a team of art curators who value high quality art and photography. Every image we print is reviewed by our in-house team, and adjusted by hand for the best possible print quality. After that, your selected image expertly transferred to canvas using state-of-the-art printing equipment and stretched by hand to ensure it lasts for years to come.